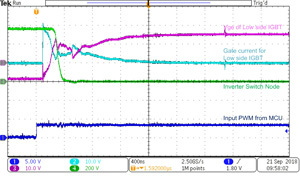 This reference design realizes a reinforced isolated three-phase inverter subsystem using isolated IGBT gate drivers and isolated current/voltage sensors. The UCC23513 gate driver used has a 6-pin wide body package with optical LED emulated inputs which enables its use as pin-to-pin replacement to existing opto-isolated gate drivers. This design shows that the UCC23513 input stage can be driven using all existing configurations used to drive opto-isolated gate drivers. In-phase shunt resistor based motor current sensing is done using AMC1300B isolated amplifier and DC link voltage, IGBT module temperature sensing using the AMC1311 isolated amplifier. 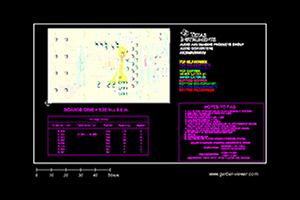 The design uses a C2000™ LaunchPad™ for inverter control.